Helloooooo there people on Planet Earth! We’re probably the very last people in the entire universe to do this tag, so it’s time we jumped on the bandwagon and answered your questions! So, we were tagged 9 times to do this tag…meaning 10 questions from each person meaning 90 questions all together. O.O Buuuuut since there’s 3 of us Midnightians, you’d be reading 270 answers. I don’t know about you, but that sounds pretty tiresome for both us and you readers. Instead, we just chose a couple questions from each of these lovely people to answer. What books would you like to become movies? Err…LIKE EVERY SINGLE BOOK IN THE WORLD DUH. I think I would love to see The Diviners on the big screen just as that book really is one of my favorites. Visually speaking, I’d also love to see the roaring twenties come to life. Intertwined with a pulse racing murder plotline? Sign me up. I’m also going to include another historical fiction novel, Under a Painted Sky. It’s one of my favorite 2015 releases already. I would love to see the classic western movie tropes come to life and be refreshed with the diversity and themes of the novel. Hmmm. I think The Lunar Chronicles would make an awesome TV show! Technically not “the big screen”, but still. I think there’s enough drama to keep things interesting, and it would be simply amazing and diverse. Just imagine how it would slowly weave all the fairy tales together… Ahh. I want this. If you were to meet your favorite fictional character, what would you say? *begs* “PLEASE KIDNAP ME AND TAKE ME TO YOUR WORLD” And then we’d skip off into the distance and you guys would never hear of me again. As for who my favourite fictional character is… that is much more of a harder question. I’d really go the way of Mel I think. I mean there’s just so much more to discover in the fantastical worlds of novels. I COULD GO TO HOGWARTS. Unoriginal, but yeah, same. Haha. Anything ice-cream. ICE-CREAM IS 5EVER. Uhhh, ONE? Hahahhahahhaa. Oh dear. Let’s see, first there’s everything chocolate (Sachertorte, molten chocolate lava cakes), anything ice cream, crêpes Suzette, etc etc etc. Desserts are what I live for. What books do you think deserve more hype? MORE PEOPLE NEED TO READ THESE BEAUTEOUS BOOKS. 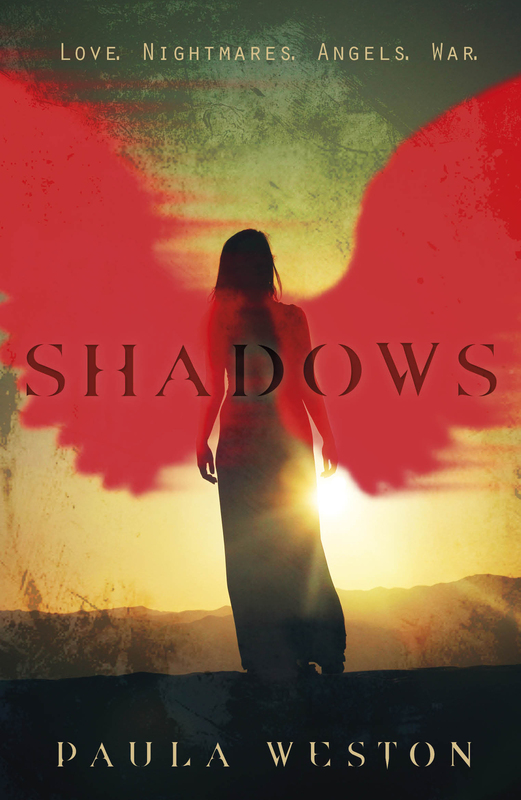 Shadows by Paula Weston is actually one of the best angel paranormal series I’ve ever read. Also, it’s Aussie YA. COULDN’T IT BE ANY MORE AWESOME? 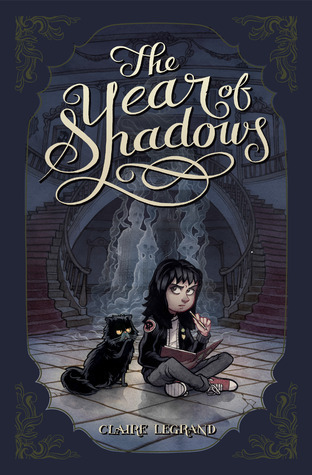 This one has INTL rights already too; so there can be no excuses, you non-Aussies who complain about us not sharing the fabulousness 😛 The Year of Shadows by Claire Legrand is one of my top 5 MG novels. It’s such a deliciously gorgeous novel, and for a MG book, it still touches on a lot of deep and dark topics, which I loved. 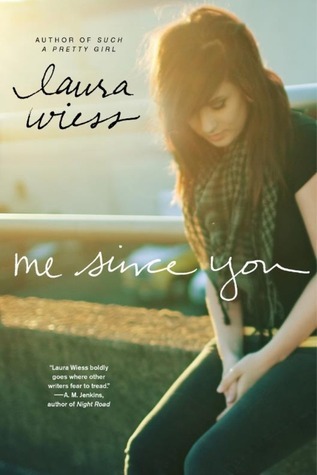 Me Since You by Laura Wiess is one of my favourite contemporaries. Mind you, this is coming from someone who reads mostly contemporary. SO THIS IS SAYING SOMETHING BIG. READ IT. CRY OVER IT. FLOOD THE HOUSE WITH TEARS, THEN COME AND THANK ME OH SO GRACIOUSLY. I’m mildly in love with genre of historical fiction in YA and think it’s vastly underrated. So here are some of my favorites (: Each are incredibly immersive in their respective time period and have unputdownable plots. Which new author did you discover in 2014 that you think people should keep an eye on? Everyone needs to go and stalk Claire Zorn. She is an Aussie author and I absolutely loved The Protected by her. She created the most beautiful relationships and authentic characters, and I know her debut, The Sky So Heavy has received even more praise. STALK HER. I COMMAND IT. Danielle L. Jensen! I’m sure this comes to no surprise to y’all. She wrote Stolen Songbird, which was easily my favorite of 2014. It’d the first in a series and I can’t wait to see where Jensen takes the story next. I also just found out, by supplying you with the above author bio link that Danielle is from the same city as me!?! Um. That’s crazy cool. What classic that you’ve read is your favourite? Like these ladies I’m a little lax when it comes to classics. However, The Great Gatsby has definitely captured my heart and will be forever a top favorite of mine. To be honest, I think I’ve read about three classics. *cough* I’m planning to change that, though. But my favourite so far is definitely To Kill A Mockingbird. Such a beautiful and subtle novel about racism and class, and Atticus Finch will forever be my role model. What is your number one blogging tip? Blog for yourself. Write posts that you’re proud of and like. Don’t do it for publicity or for free books, there’s no point in that because the quality will never be as great if you do it for yourself, and your own enjoyment. It’s important to always remember to blog the way you want, and how you want. It’s your blog, after all. These girls already mentioned some fantastic tips! (: I agree with them completely. Mine will have to be with the importance of bloggy friends. Blogging is an experience and I think one of the best part is the creation of those connections with like minded people. Don’t take them for granted, cherish those friendships and allow them to flourish. These people are incredible and will be there for you when you get in those seemingly oppressive and all encompassing moods. They will also be there for you to freak out over books BECAUSE OH MY GOD THAT CLIFFHANGER WAS SO INHUMANE. Whether it be for laughs, shared emotions or support- your blogging friends will be there for you and vice versa. Keep things fun. There’s no point in blogging if you don’t like it or if you’re too hard on yourself. Lately, I’ve been an awful blogger (I’ve written zero reviews so far this year and I’ve read only one review copy), but I just really needed a break. Thankfully I had some scheduled posts to fall back on, and I can say that this little ‘break’ has really helped keep the fun in it all. So my number one tip would be don’t force yourself to do anything, and remember that this is a hobby and should therefore remain fun! Is commenting on blogs an easy thing for you to do? Yes, and no. I find it easier to comment during the holidays because there is well, JUST SO MUCH SPARE TIME. But now that I’m back at school, I get to make commenting rounds only like once or twice a week. It’s sad, because I wanna give everyone all the love *sad sigh* I do love commenting on blogs in general though. I do love to comment on posts, and yes I do tend to make my comments quite long. I feel like commenting is something I enjoy doing and that the post I read deserves a long comment given the effort the blogger must have put into it. However, with how busy I’ve been lately my commenting has been rather sporadic. It’s something that saddens me a bit as I feel y’all deserve these essay comments worthy of all the time and effort you put into all of your amazing posts. Hmm. It’s difficult for me in that I do not have the time to comment (I haven’t commented in ages and I feel awful about it. I read every post, I promise!). But the actual commenting I don’t find difficult. I love books and talking about them feels natural to me. If you could read one book for the rest of your life, which one would you pick? Wow, that’s cruel. CRUEL, I’M TELLING YOU. Can I cheat and pick a series? Pleeeeeease? I’d choose the Percy Jackson books. (Wow no way, I bet none of you saw that coming!) THE PERCABETH FEELS THOUGH OH MY LORD. What book would you sell your soul for in 2015? Excuse me as I come and spam this post with my undying love for Rick Riordan’s novels. GIMME THE SWORD OF SUMMER BY RICK RIORDAN NOOOOOOW. I even have a review spot ready for this book. I’M MORE THAN READY. Oooooo. This is a difficult one. I would have to go with Lair of Dreams though. It’s the sequel to The Diviners, a story I read in 2012 and just adored. I’M SO EXCITED FOR THE SEQUEL AND NEED IT IN MY LIFE LIKE YESTERDAY. QUEEN OF SHADOWS. It’s been long since I’ve felt for a series this way but lord do I need it badly. Heir of Fire just hurt my soul and I am so in love with this series, it’s ridiculous. A book series that you are dying to finish? I’m actually so excited for Haze! I’ve been anticipating this book for almost a year now, and well, I NEED ANSWERS. My answer for the previous question could work here. However, I’m going to go with some variety and say The Call of The Forgotten series. It’s by Julie Kagawa and is a spinoff to the Iron Fey, a series that introduced me to the entrancing world of the Nevernever. The second one ended with a massive cliffhanger and I need the next installment in my life. Most recent holiday? Any planned? I recently went to Tasmania for the Australia Day weekend! It was seriously amazing, the food, the people, the view. I wanna go back and experience it all over again. I woulllld post pictures of the scenery but 1) I’m lazy and do not have the effort to go and get my camera to upload the pics onto my laptop yet and 2) I actually have no time at the moment. Homework is calling! I am going to America in 1.5 months, though! I AM SO FREAKING EXCITED I WANNA MEET ALL OF YOU AMERICANS BUT I CAN’T BECAUSE IT’S PART OF A SCHOOL STUDY TOUR AND OUR SCHEDULE IS SO VERY PACKED. ONE DAY THOUGH. ONE DAY. Latest holiday would be my trip to Italy, done with the school during last spring break. To say I miss the lovely cities of Florence, Venice and Rome would be a massive understatement. I would go back in a split second honestly. It was just an amazing trip of culture, history and to die for food. This spring break I’m going to Kauai. It’s one of the Hawaiian islands, one I haven’t been to before. I’m excited to explore the new island and do some fun activities- surfing, cliff diving, tubing, swimming, scuba diving…ahhh. I just am too excited to have fun in the island paradise. Any TV shows in particular that you’re addicted to right now? I’m a TV binge-watcher. Right now, I’m binging Scandal which is prettttty interesting so far but I’m not fully invested quite yet. I do follow The 100 and How to Get Away with Murder and Forever quite religiously, though! Just recently binged watched all 10 seasons of Friends on Netflix. Struggle is too real guys. Also loving Agent Carter. Summer, Autumn, Winter or Spring? And why? SPRING! Why? Because it’s my birthday season, duh. Also, pretty flowers. Summer. A lot more free time arises for me then and I just love the warmer weather. Think back to your very first weeks as a book blogger. What were your goals? What were your fears? How do you feel looking back? My goals: I had none. When you make a book blog on the day the world is supposed to end, you don’t exactly make any apart from: #YOLO But honestly, I didn’t have any goals at all. All I wanted was to talk about books and meet even more super awesome people and maybe get comments on my post (really, who doesn’t go through that phase). But like, I didn’t think that blogging was something that was actually going to be become part of my life, y’know? It was just a blog, and I had no social life so why not. And now, this blog has become my second home… but my social life hasn’t exactly upped it’s game hah. My fears: Screwing everything up. And plagiarising. Oh man, I was so freaked out about that and I would like throw my posts in these plagiarism checkers before I’d post just in case some person came up to me and started giving me crap about plagiarising when I hadn’t even planned to. But yeah, I soon got over that. How I feel looking back: I want to laugh. Actually, I’m laughing right now. MY REVIEWS WERE SO BAD. (They probably still are.) There’s been occasions when someone likes my review for a book on Goodreads, and then I go and delete the review immediately because it’s just so so soooooo bad and cringe-worthy. My Goals: With joining YA Midnight Reads I wanted to start reviewing more often and meet new people to discuss book-ish topics with. This was my entrance into the bloggy universe and I was beyond excited, wasn’t sure really what to expect. My Fears: Feeling like I wasn’t contributing to the blog enough/what I did put forward to the blog was lacking quality. For my first couple of posts I definitely was nervous and wanted the readers of YA Midnight Reads to accept me. Looking Back: I shouldn’t have been too nervous! You are all so kind to me and definitely made me feel welcomed and loved. I recently read When Joss met Matt by Ellie Cahill, aka Liz Czukas. I don’t read a lot of NA because half of the time because I don’t like it and well, I guess it’s not suitable for my age with several of those books. But then I read a review saying that this one was by Liz Czukas (aka one of the best contemporary fluff authors ever) and they said it was suitable for YA readers too, so I requested it off EW. I ended up finding it to be okay, but I didn’t fully enjoy it, to be honest. I already posted my review and it can be found here. I read an ARC of Mosquitoland. Initially I was nervous about the novel, just because I figured it would be a pretentious novel with manic pixie dream girl vibes. Boy, was I in for a surprise. The novel offered up one of the most genuine and powerful voices for its main character that I’ve read. Do you have a specific genre that you love to read? CONTEMPORARY MYSTERY THRILLERS HECK YES. (I know, it’s a little specific, but you asked for it!) I think this phase started when I read Dangerous Girls by Abigail Haas. It’s a tie between Fantasy and Contemporary. I really LOVE both. What book do you want to see burn? As much as I love the idea of burning all the crappy books I’ve read, THEY’RE STILL BOOKS. I’d be like Liesel and steal the books if people tried to burn them. Agreed with Mel! Book burning is not something I support ahah. RIDDLE TIME: What room has no windows, no ceilings, or no doors? *stratches head* *blinks* Val, what is this funny business? I’m not going to lie, I definitely googled the answer in order to appear smart. You can totally praise my intellect now. No one in particular! It seems that we Midnightians are the last people ever to do this tag so if we tagged people, it’s 99% possible you already have… and that’s a bit pointless. But if you happen to have been living under a rock all this time, then we tag you! You can pick 10 questions out of the ones we’ve answered already because they’re pretty damn awesome questions. Bahahaha. Love this post! I haven’t read many classics either but I really love To Kill A Mockingbird. Great books. Thanks Cynthia! Yes, I need to read TKAM soon as well! HAHA it’s ok you guys I’ve been tagged so many times to do this and I still haven’t. I’m at the point where I don’t know who’s tagged me. I won’t be doing the tag lol I couldn’t be bothered (I know I’m terrible). ALSO LOL MEL YOU MADE YMR ON THE DAY THE WORLD WAS MEANT TO END THAT’S HILARIOUS. Your dessert pics guys. GUYS. GUYS. THAT’S NOT FAIR. And also, French silk dessert omg I wanttttt – it reminds me of chocolate Bavarian <3 ice cream for life. I definitely need to check out Paula Weston and I KNEW you were gonna say ALL the Rick Riordan Mel. CELINE YES TO QUEEN OF SHADOWS. Also, I find it funny that Celine disappeared for half the answers. Yeah that was me as well girl. I had to go through all my favourited tweets to find half of them lel. I’VE BEEN TRYING TO HUNT DOWN SHADOWS FOREVER IN THE COVER THAT I LIKE AND ITS SO HARD FOR SOME REASON WHICH IS ODD CAUSE I LIVE IN AUS WHAT. But I’m determined to read it. DETERMINED. Commenting. I totally agree with you all. I want to give every post under the sun some love but it’s really time consuming, especially since I like leave nice and long comments. I completely disappeared for three weeks due to holiday and I’ve finally been able to access my feedreader and wow, yeah. No comment. I think I need to regroup and find some balance again. ANY TRUE BOOK LOVER WOULD REFUSE TO ANSWER THAT ONE BOOK QUESTION PROPERLY. omg hahaha true that, girl! I would actually love to see A Darker Shade of Magic by V.E. Schwab (or any other V.E. Schwab book) as a movie because they’re so awesome! 😀 I haven’t done this tag yet lol, maybe I’ll do it some time this week. Me Since You deserves so much more love! Hail to The 100 *bows* that show is AWESOME!! GOOD JOB GUYS YOU GOT THE RIDDLE!!!!! But man this post was really long but totally worth it. BURNING BOOOOKS? NOOO. haha I agree I would try to steal them like Liesel. even if I do hate some books published right now. look at all that chocolate YUM. Awesome answers guys! LOL haha your riddle had me confused for quite a while xD I’m glad that you enjoyed reading it, Val! Mel! I’m so glad you mentioned Claire Zorn! I just bought her book and have been meaning to read it, but just haven’t had enough motivation to do so. Well, your endorsement is enough! YAAAAAY I hope you love reading her work, Joy!! Ha. This tag seems to be really easy to forget. I did mine about 5 months after I was tagged xD Melanie, I totally get your Rick Riordan obsession, his brain is seriously amazing. Larissa, totally agree with you on bloggy friends. I love conversing with others and I wouldn’t give up these connections. Celine, I totally want to read To Kill a Mockingbird! Especially now that everyone is going crazy over the sequel that’s coing out this year. Right? RR is king. I AM DYING FOR HIS UPCOMING BOOKS. And yay for Dangerous Girls love! I would love for that to be a movie. Right? I am seriously rooting for a movie, it’d be brilliant. -snort- Love the answers! Oooh and I hope you enjoy your trip to the U.S., even though it’s for school. You’ll have to make another trip. I love anything ice cream too. most of the questions i wouldn’t have answers too… one book yea ok that will never happen if it did i would die. I keep hearing about how to get a way with murder but never seen it. I must check it out. Yes, ice cream is life! Any season is great for ice cream, tbh. Hmm, I can’t help but think you might be a fan of Rick Riordan 😀 I’m on the final Percy Jackson now and I’m crossing my fingers that the next series is just as awesome. Some say it’s not, some say it’s even better. That cookie dough is making me hungry. It tastes even better eating it raw, but you pay for it later. Goodbye healthy arteries. I do hope you love the spin off! I think I love both of the series equally–they both have their own merits. I hope you love reading it, Benish! I absolutely adored all your answers, girls!! I was tagged, too, but haven’t gotten around it yet but I will! Once there is a spare day on the Social Potato Calendar, we’ll be posting our answers as well! And I love aaaall your blogger tips! Truer words have never been spoken. Blog for yourself, have fun, and surround yourself with like-minded people are definitely the ways to go! I have followed this to the letter and am enjoying blogging way more than I used to! AND I WOULD LOVE TO SEE THE DIVINERS AS A FILM, TOO, LARISSA. I have a feeling it would work just as well as a TV show, though! I’d love to read your answers if you ever did this tag! Yep, having fun is what it’s all about. YAY so great to hear that, alreem! I like this post because it has pictures of desserts. So I’m just going to look at those for a while. PLEASE TAKE ME WITH YOU TO HOGWARTS WHEN YOU GET THERE. Also, I really need to finish the Percy Jackson series! I’ve only read the first one and I loved it so I’ve got no excuse. Inge @ Bookshelf Reflections recently posted…300 Followers, Thank You! Haha, unless the world was Panem, right? But yup, I would probably ask them to whisk me away to their beautiful fantasy world and live there happily ever after. Oh, the dream. I haven’t read any of the books you said needs more hype, Mel! I KNOW, I AM ASHAMED. I was actually excited for The Year of Shadows when it first came out, but then I got hooked on other books and then promptly forgot all about it. And I wasn’t sure about Me Since You (as you know I’m not really a fan of contemporaries), but I guess I’ll have to give it a go now. 😀 And Larissa — yep, The Diviners needs more hype! It was probably the first YA novel to really creep me out, and even though I didn’t think Jeremiah was the best match for Evie, it was still a good book. Yes Logan is a great Percy, but like… only when he’s in the heroes of olympus. WE NEED YOUNGER PEOPLE SO THAT THEY ACTUALLY FIT THE AGE RANGE IN THE ACTUAL BOOKS GAAAAAAH. EE, ICE-CREAM 5EVER! YESS. I’m a little hungry now (and I just ate). And I agree with the YA historical fiction point you’ve brought out. It’s such a wonderful genre with tons of good books that mostly go unnoticed because “historical” fiction makes it sound like it would have talks of war and depressing things. Or so my friend said. Which I think is completely weird. ANYWAY. This is such a fun tag, and a great post! Seriously, though. FOOD PICTURES = favorite. Fun post! Those desert pics made me soo hungry haha! And omg Dangerous Girls could be a really good movie – it could also be crappy and end up like a b-rated horror so it all depends how they work with it. And The Lunar Chronicles would make for an epic TV series – def TV over movies for that one! My whole family is loving Scandal I really need to try it! I heard the MC is not the best actress though. I also watched the pilot of How to Get Away With Murder and I liked it. I have to binge watch the rest of the series now >.< I often do that – watch a pilot and wait a year to watch the show for real lol! Ugh yeah true. If they do a bookish adaptation, IT BETTER BE A GOOD ONE. LOL whaaaat? YOU NEED TO BINGE THE REST OF HTGAWM ASAP, GISELLE. And no excuses now because s1 just finished. The picture on Bloglovin’ is the cookie dough and now I am hungry. Though it did make me read this post first out of my entire feed, so props. Anyhow, I digress. COOKIE DOUGH. Wait I didn’t digress. I don’t think I’ll be able to move on from the food topic, so I’ll just say great post. I love learning things about bloggers. Hahaha, cookie dough is the secret to everything *nods insistently* thanks, Maddy! Great blogging tips:) – I feel a lot calmer and more informed about blogging now rather than worried about my posts so thanks! Great Gatsby, To Kill a Mockingbird and Pride and Prejudice are wonderful classics and make me want to read more! I'm reading the Heir of Fire so it's great that Celine likes it so much! YAY PERCY JACKSON- I would choose that too:D That series has the perfect book for anytime and place! Thanks Maya! Hahah yes, that alliteration is amazing and so true! xD I’m so glad that we could make you feel calmer about blogging. Blog the way you want! No one can dictate that. I think that those tips you girls included were excellent! Blogging for yourself and having fun are so essential! Makes us readers love your posts even more too. Have fun in the US and Hawaii, girls! You all go to so many amazing places, I’m so jealous. I’ll just be here and be a couch potato loool. So I am totally one of those people who haven’t done this tag! Should I try to blame this on my two month internet hiatus, or just revel in the fact… heh. Revel. Definitely. Melanie! You came to Tasmania! Yay and also I wish I’d know- it’s where I live! Where did you go? I’m thrilled you had such a nice time. Hope you come again soon! Now I feel inspired, by that spreadsheet. I plan my reviews, too, but not that far in advance. I MUST DO THIS. I want to to thank you for your time for this wonderful read!! I definitely loved every part of it and i also have you bookmarked to check out new stuff in your website. Ok, you’re making me wanna bump up those Rick R. books. I’ve only ever read Percy Jackson Book 1! lol.